You smoked a bowl or pulled out a joint while in your car, and suddenly your vehicle smells like an ashtray. If it isn’t your car, or you have to pick up your carpool buddies tomorrow morning, this can be a problem. Not everyone needs to know about your late night cannabis smoking after all. What is the best way to get the weed smell out of your car? Why Does the Smell of Cannabis Linger? There are two major issues with the smell of cannabis: the raw flower can be exceptionally skunky, and the smoke is stale. Both smells penetrate a room (or a car) and make your activities rather evident. The science behind smells goes down to a molecular level. Small molecules called terpenes, diffuse from raw cannabis and travel through space. Smoke molecules, called particulates, also move throughout a space, settling on surfaces. Unwanted smells tend to linger longer when they fall onto soft surfaces, like the cushions of your car seats. If the molecules from smoke and pungent aromas make their home in your car, what’s the best way to get them out? Who better to ask how to get the cannabis smell out of your car, then to ask the experts. The Budd has put together a helpful video, on a long used technique for hiding the smell of weed. This tip works anywhere, in your bedroom, in the garage or in your car. A tried and true way of getting the rancid smoke smell out of your car is to roll down the windows and go for a drive. If it's raining, you might even consider the benefits of leaving the windows down just moment longer. Within a short period of time, the smokey particulate should no longer be an issue. The cold air, rushing through the vehicle flushes the lingering, leftover aroma out. Unfortunately, any skunkiness from unsmoked weed is a bit more challenging to eliminate. A cold drive with the windows down just might not cut it. A car deodorizer, specifically one designed for pot smokers, can also make a practical investment. With a unique combination of ingredients, sometimes including essential oils, and order eating compounds, a car deodorizer permanently traps the smell of weed. Deodorizers are especially helpful for people who chronically smoke in their car, but less so for those who use their vehicle to store their cannabis. Again, the skunkiness tends to permeate through an enclosed space and cling to fabrics. Its common to purchase a deodorizer and forget about it, but the powerful odor-sucking qualities don’t last forever. If you smoke a lot in your vehicle, you’ll need to replace it on a regular basis. A cologne cover-up has long been the method used by high school stoners. Will it convince anyone about the state of your vehicle? But, for a short time, it can help mask the smell of the pungent cannabis tucked into your glove compartment. Don’t expect it to fool your parents, your rideshare or a police officer. A heavy dose of cheap cologne rolling out of your window is just as likely to cause suspicion as cannabis smoke. If you do resort to covering up the smell of weed with cologne, remember that a small spray in an enclosed space goes a long way. Your passengers will thank you for going easy on the cologne. A better, more mature, version of the cologne technique is having a bottle of household cleaner in the back seat. 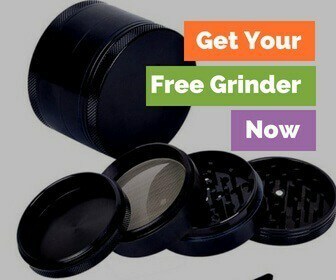 A product specially designed to cover up or even eat odors is a powerful tool in the war against the smell of weed. The invention of Febreeze was a godsend to stoners everywhere. If you give the inside of your vehicle a good spray down post smoke session, you might be surprised at how lovely it smells the next morning. Unlike the cologne effect, it’s a much more effective and subtle aroma, one which won’t likely arouse the suspicions of your passengers. Nothing beats the stink like dumping an ashtray. If you use your car’s built-in ashtray or rely on another container, do not leave it inside your vehicle. Dump it, and rinse it out on a daily basis. Even the lingering resin stuck to the sides can create unwanted aromas throughout your vehicle. After every smoke session, dump out the ashes and give the entire container a proper washing. Better yet, use a disposable ashtray, like a soda can or tin-foil liner. Don’t let your stoner tendencies get the better of you and let those blunt butts add up. A clean ashtray really does help with getting the weed smell out of a car. The best method for preventing fresh skunky flower scent from permeating your vehicle is to store your stash in a scent-proof container. There are thousands of scent proof stash containers available online, and through your dispensary. They all lock tight and keep the unwanted pungent aroma of a dank nug deep inside. No more driving around smelling like a weed dealer when you've stored everything inside a stash box. Plus, they are often designed to look like other ordinary objects, like a bottle of soda, or a container of WD-40. Easy to fool even the most observant of passengers. Although this option undoubtedly takes the most effort, it is the best way to get weed smell out of your car. This weekend, put in a little time and effort into the state of your car. Vacuum and shampoo the contents, paying special attention to the crevices and seams. Throw any clothing, blankets or other fabrics hanging out in the back seat straight into the washing machine. Don’t forget to wipe down all hard surfaces as well. Clean out the ashtray, and place your newly purchased car deodorizer front and center. Within no time your car will be free of any lingering skunkiness, or leftover smoke smell. 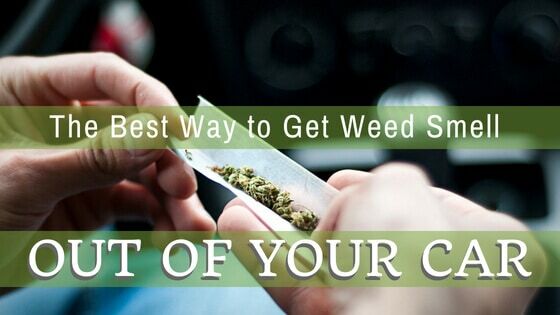 To get the smell of cannabis out of your car, the bets method would be to not smoke in it at all. After all, you shouldn't be driving while you're high in the first place. But, even carrying your cannabis on you in your car can leave your car with the thick smell we all know and love. What do you think is the best way to get weed smell out of car?